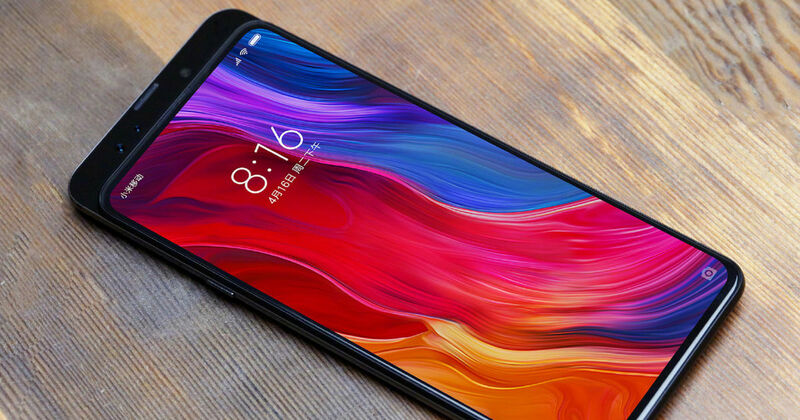 One of the most anticipated smartphones at the moment has to be Xiaomi’s upcoming flagship – Mi Mix 3. Ever since Xiaomi President – Lin Bin – took to Weibo to reveal the smartphone back in August, it has been a raging subject for the rumour mill. Just yesterday the brand gave a nod towards the imminent launch of the smartphone by posting a smiley and now we have the alleged launch date through a leaked poster. An official-looking poster of the handset has been spotted on the Chinese social media, which reveals the launch date of the flagship. According to the poster, Xiaomi might unveil the flagship on October 25th. 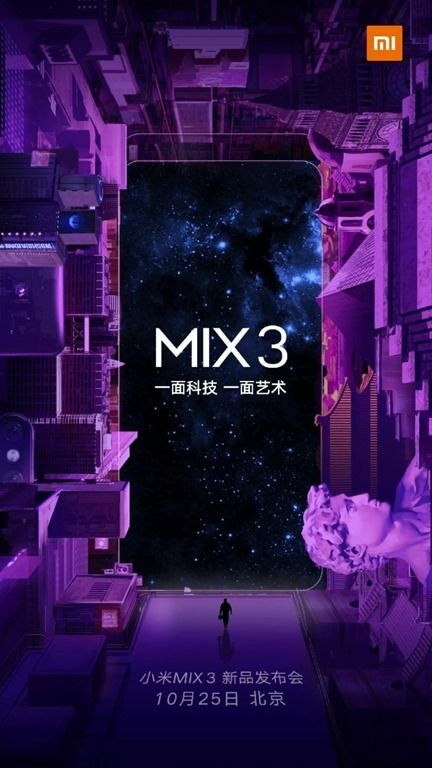 In the image, we can also spot the Mi Mix 3 with the manual slider raised. Moreover, we can make out from the silhouette of the device that it will come with an all display fascia minus any sort of bezels. This is consistent with the leaked images and renders we have seen in the past. Notably, there has been a poster in the past, which hinted at the October 15th launch and that didn’t happen, so we suggest taking this bit of information with a pinch of salt as well. Update: Xiaomi has uploaded the same poster on its official Weibo account, confirming the October 25th launch date. To recap on the rumoured specs, the Mi Mix 3 is tipped to come powered by the next generation Qualcomm Snapdragon 855 SoC. The handset will be offered in two RAM variants – 6GB and 8GB, however, nothing is known about the storage as of now. As for the display, we can expect the smartphone to feature a 6.4-inch display with 2K resolution. In the imaging department, the Mi Mix 3 is speculated to have a 16MP+13MP dual camera setup on the rear and a 20MP selfie shooter. The smartphone is also expected to have a 3D structured light module for facial recognition. As of now, there is no word on the pricing of the handset. However, a 128GB storage variant had briefly appeared in the past on Xiaomi.shop store with a tag of $452 (~Rs 33,350).